Atul Auto LTD is one of the key players in the Indian three wheeler commercial vehicle space. Formed in 1986, the manufacturing of the Atul branded vehicles began in 1992. The automaker has steadily expanded its portfolio in the passenger and cargo vehicle categories right from customized ‘chakkada’ vehicles to Atul Shakti, Atul Smart, Atul Gem and Atul Gemini brands. 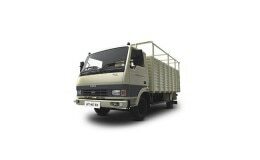 The most popular in the transportation segment is the Atul GEM lightweight cargo truck price of which starts at INR 1.68 lakh (ex-showroom). The three wheeler cargo truck is excellent on mileage and carrying loads within the congested urban and semi-urban areas of the country. With the implementation of BS-IV norms in India, Atul Motors has also transformed its entire product portfolio to make them compatible with the latest standards. The company manufactures its range of products at its Rajkot plant in Gujarat and ships to several markets across the globe including Nepal, Bangladesh, Mexico, South Africa, Kenya, Egypt, Mozambique, Tanzania, Madagascar, Malawi, Liberia, Jamaica, etc. Atul Auto is currently expanding its dealership network across the country with an aim of adding 25-30 in India and 10-15 dealers in overseas markets every year.